I saw this message while walking down a D.C. street to get lunch. I know that this might surprise you but I was not thinking about race. Instead, I was reviewing my list, my very long list of things I need to get done right now and at exactly the same time. I’ve seen quite a few church signs while walking or driving but this one surprised me. There is much talk about ending racism but I don’t see many signs. We raise our voices but our actions to end discrimination and unearned social privileges are not visible. I like the words of this one. 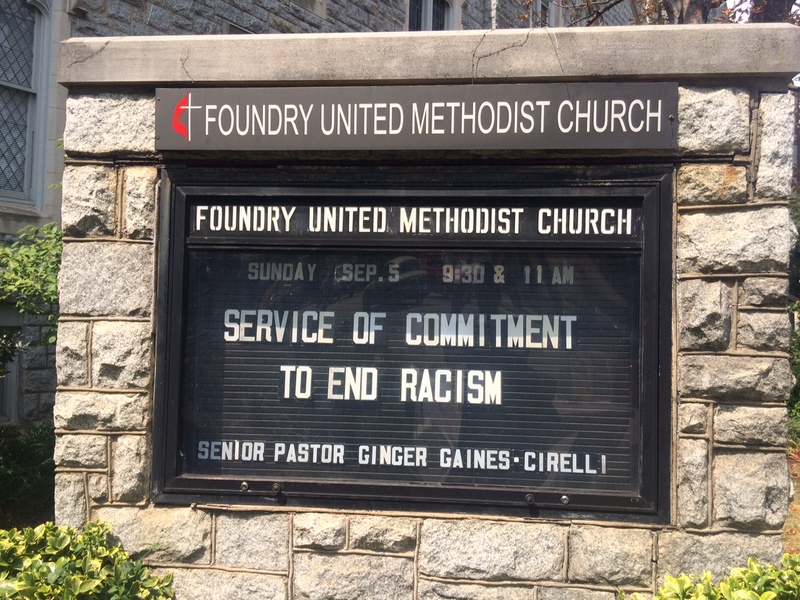 It is a service and a commitment to end racism. And it is apart of Christian worship. God be praised!